October and November. The fall offers great opportunities to view polar bears up-close as they wait for freeze-up on the west coast of Hudson Bay for their annual migration. 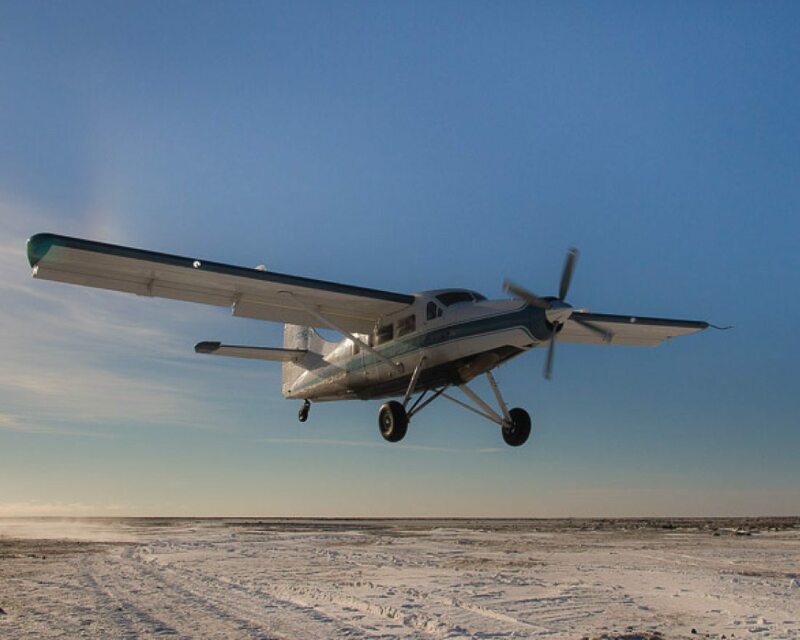 Experience it on Polar Bear Migration Fly-In Photo Safari. Hundreds of thousands of birds, including sandpipers, Arctic terns, jaegers, plovers, ducks, swans, cranes, loons, ptarmigans, gyrfalcons, peregrine falcons, snowy owls and snow geese. Arviat experiences a mild summer with average temperatures between 15°C and 20°C in July and August. The first snowfall typically occurs in October, with fall temperatures ranging from -3°C to -29°C. Winter months, January to March are cold, with blizzards common and temperatures dropping to -35°C. While our Polar Bear Migration Fly-In Photo Safari isn’t directly in Arviat, the Polar Bear Cabins are situated in the historical hunting ground of the people of Arviat, located just 100km south of the town. 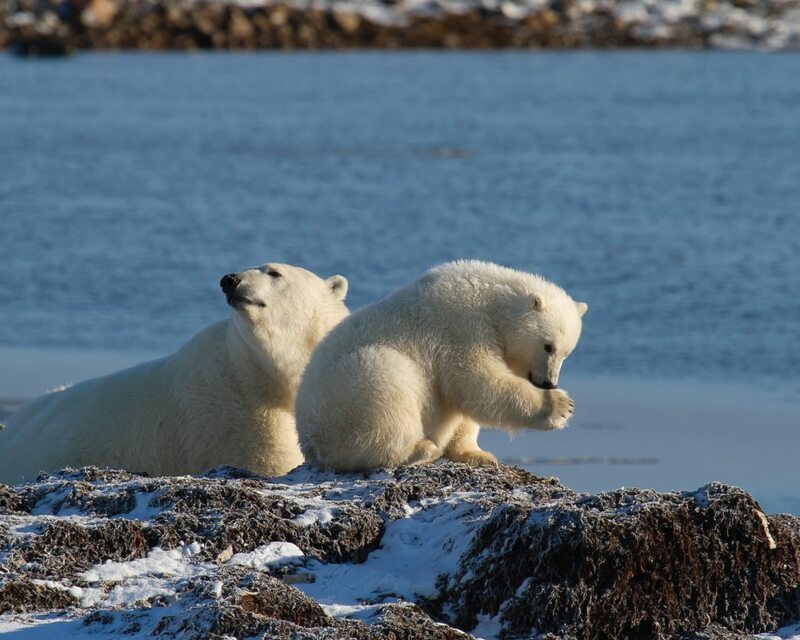 We work closely with the people of Arviat in selecting this site for observing polar bears and have local Inuit guides assist with polar bear viewing encounters. Formerly known as Eskimo Point, Arviat is on the western shore of Hudson Bay, Nunavut. It is a traditional Inuit community with rich history, and strong artistic and musical traditions. It is the home of renowned Inuit performers Charlie Panigoniak and Susan Aglukark, as well as talented carvers and seamstresses. The local carving stone is a metamorphic rock that geologists say is harder than steel! Carvings made of this compromising material are stylistically unique to Arviat artists, often depicting themes of family, maternity and humanity. The name Arviat comes from arviq, the Inuktitut name for bowhead whale watching trips.